The annual VFW Post 10010 Easter Egg Hunt will be held on Easter Sunday, April 21st, 1PM, at Main Street Park. Prizes can be collected at the Fireman’s Hall after the hunt. A special thank you goes out to the VFW Ladies Auxiliary for their work on this wonderful event. 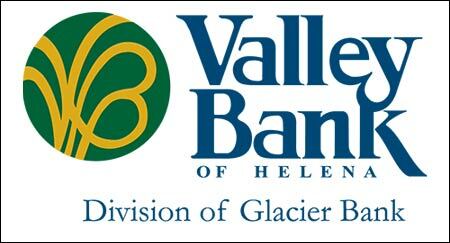 The annual Eagles 4040 Easter Egg Hunt will take place on Saturday, April 20th, starting at 1PM at East Valley Middle School, 400 N Kalispell Ave.
As of April 16 at 12:00pm St. Peter’s Health has lifted visitation restrictions due to a decrease in the number of positive influenza cases in the community and across the state. The number of confirmed cases at St. Peter’s Health has fallen significantly over recent weeks. The visitation restrictions were put in place in January in response to heightened flu activity. So far this season, the St. Peter’s Health laboratory has confirmed over 900 cases of influenza. Although there has been a decrease in influenza activity, the virus is still present in the community. St. Peter’s Health asks that people experiencing flu-like symptoms refrain from visiting the Regional Medical Center unless they are seeking care, and reminds the community to always practice proper hand hygiene to prevent the spread of illness. According to the Montana Department of Public Health and Human Services (DPHHS), there have been 12,727 cases, 737 hospitalizations and 19 deaths attributed to influenza this flu season. SAFETY FIRST AT PRICKLY PEAR ELEMENTARY! Thanks to East Helena for the new crosswalk and pedestrian signs on Montana Ave/Valley Drive at Lewis Street. These are very important and welcome safety features for local residents and the students at Prickly Pear Elementary. Click here to view the entire Photo-Essay! EAST HELENA, MT – Montana Environmental Trust Group LLC, Trustee of the Montana Environmental Custodial Trust, and its contractor Pioneer Technical Services received a 2019 American Council of Engineering Companies of Montana Engineering Excellence Award for the Prickly Pear Creek realignment in East Helena. Montana Environmental Trust Group’s (METG) Prickly Pear Creek relocation project won the 2019 Environmental Category Honor Award from the American Council of Engineering Companies (ACEC) of Montana. METG teamed with Pioneer Technical Services to realign more than a mile of Prickly Pear Creek in order to reduce water contact with soil contaminants and their potential migration. The project protects human health and the environment permanently by reducing groundwater contamination and isolating the eroding slag pile on the East Helena site without need for future pumping or maintenance. 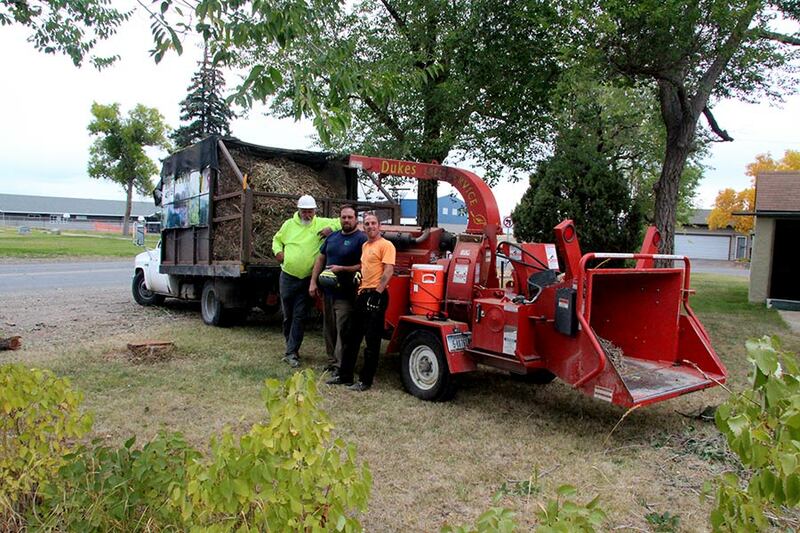 The work has established a natural-functioning stream, created an enhanced habitat for fish and wildlife, and mitigated flooding for flood-prone areas of East Helena. METG is the court-appointed trustee of the Montana Environmental Custodial Trust, which was established in 2009 as part of the Asarco bankruptcy settlement. METG is responsible for owning, remediating and redeveloping thousands of acres once owned by Asarco. For eight years, METG has worked to address contamination in soils, sediments and groundwater left behind by more than a century of lead smelting. 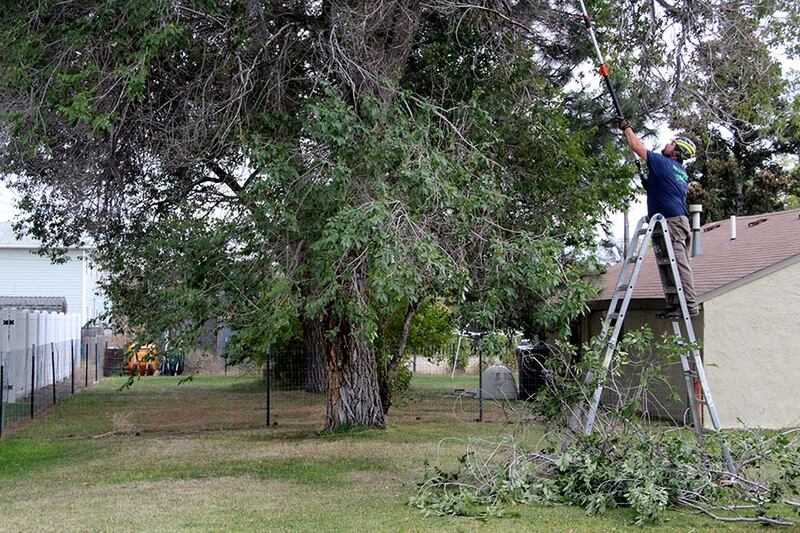 The Prickly Pear Creek realignment is a cornerstone of METG’s remediation and restoration efforts in East Helena. The creek realignment was completed in four main phases of work. First, a bypass channel was created to temporarily divert the creek flow. The next phase included drainage and excavation of the creek, followed by reconstruction of the new creek bed and building an earth berm to stabilize the nearby eroding slag pile. Prickly Pear Creek flow was then diverted to the new creek bed. Lastly, the wetlands were reconstructed and the bypass channel was reclaimed. METG’s Prickly Pear Creek project and other winners of the ACEC-Montana 2019 Engineering Excellence Awards were honored at the Montana Engineering Honors Banquet held in conjunction with the Joint Engineers Conference on Nov. 7, 2018. This video filmed during the summer of 2018 showcases some of the transformative cleanup measures implemented at the former Asarco smelter in East Helena, Montana. Established in 2009 as part of the Asarco bankruptcy settlement, the Montana Environmental Trust Group (METG), Trustee of the Montana Environmental Custodial Trust, is responsible for owning, remediating and redeveloping thousands of acres of East Helena land once owned by Asarco. For the last eight years, METG has worked to address contamination in soils, sediments and groundwater left after more than a century of lead smelting. Major components of the cleanup include the construction of a sustainable, 85-acre cap to prevent contact with contaminated soils and reduce the migration of contaminants into groundwater, as well as the removal of select contaminant source areas. The cornerstone of METG’s remediation and restoration efforts is the realignment of more than a mile of Prickly Pear Creek, which has already reduced contaminant infiltration into groundwater, created enhanced habitat for fish and wildlife and mitigated flooding for flood-prone areas of East Helena. In close collaboration with the City of East Helena, EPA and the State of Montana and through several public-private partnerships, METG has been working to redevelop the former Asarco lands. METG supported expansion of American Chemet, a global supplier of metal-based chemicals and the largest employer in East Helena. METG also partnered with the East Helena Public Schools to site and build the Prickly Pear Elementary School. Most recently, METG sold 250 acres of property to a Montana-based company for a mixed-use development. METG is currently working with a regional developer seeking to develop 100 acres of property for a single-family residential development and the East Helena Public Schools for construction of a new high school. 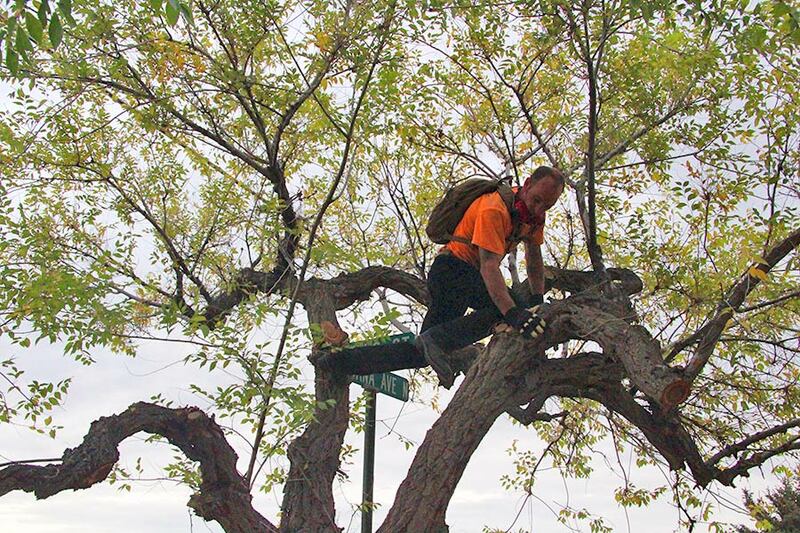 Finally, METG is working with a community land trust on implementing a trail system along Prickly Pear Creek. Please remember that vehicles must be parked parallel with the edge of the roadway headed in the direction of traffic. No angle or straight in parking is permitted without City Council approval and designated angle parking signage. Double parking is not allowed. Click this link to read related “Method of Parking” City Code. Please click this link to view the East Helena website “Public Notices” page for upcoming Public Meetings on changes to existing City Code or call City Hall at 227-5321 for more information. Kit and Vi Johnson started J4 Automotive over 22 years ago in 1994 with an SBA loan, some help from family members and a lot of prayers. Fast forward to today and we find the shop doing close to 1 million dollars in gross sales and still family owned and operated. The second generation of Johnson’s are now working in the business, with Kit and Vi’s daughter Nikita and her husband Chris carrying on the strong tradition of outstanding automotive repair and service and giving back to our community. The third generation of Johnson’s (the grand kids shown sitting with Viola) are growing up in the shop just like their mothers did and will most likely continue the family tradition well into the future. J4 Automotive’s mission statement stresses community service, which they do a lot of. The yellow veterans ribbons, the kids activity tent in the Christmas stroll, sponsor of the spring school clean-up, the Halloween movie in the park and Frite-night are but some of the events Kit and Vi and the J4 Crew organize and participate in. Their experienced staff of seven, including three Master Mechanics, fix all makes and models of vehicles and are the recipient of many awards. The National Technician of the Year, and the Helena Chamber of Commerce Small Business of the Year are just a few examples of their commitment to excellence. J4 Automotive is a Better Business Bureau A+ rated member, AAA Top Shop and NAPA AutoCare center that enjoys a 5 star Google and Yelp rating. 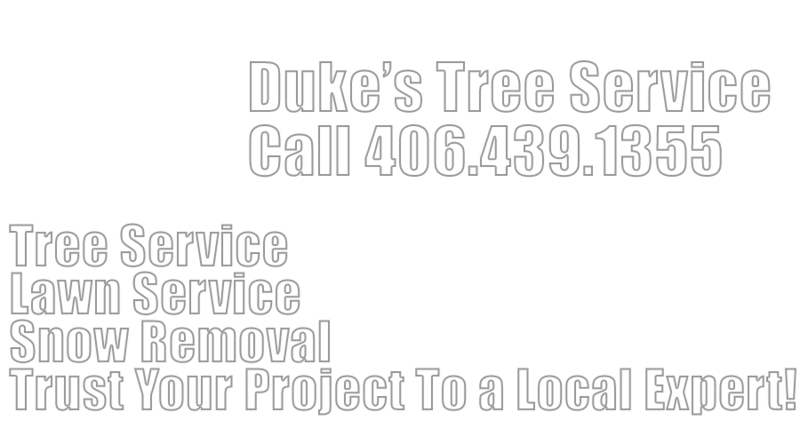 Give them a call next time you need advice or maintenance and repair on your vehicle and use their convenient pick-up service while you work! 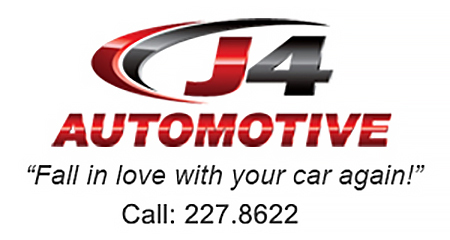 227-8622 or make an appointment on line at j4 Automotive.com. help support Prickly Pear Junction “CLOUD”. Click on a book cover to see it on ETSY! 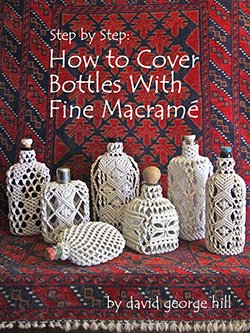 Click on this cover to view my book: “Step by Step: How to Cover Bottles With Fine Macramé” on my ETSY Store. 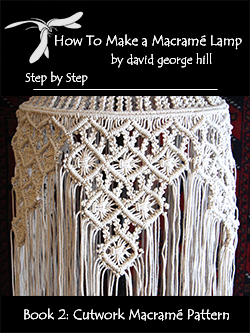 Click on this cover to view my book: “Step By Step: How To Make a Macramé Lamp ” on my ETSY store! 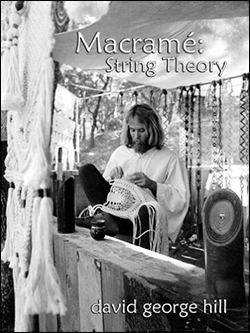 Click on this cover to view my book: “Macrame: String Theory” on my ETSY store! The following photo essay is a record of the two year project to reconstruct the Prickly Pear Creek floodplain to reduce the contact of groundwater with contaminated soil. 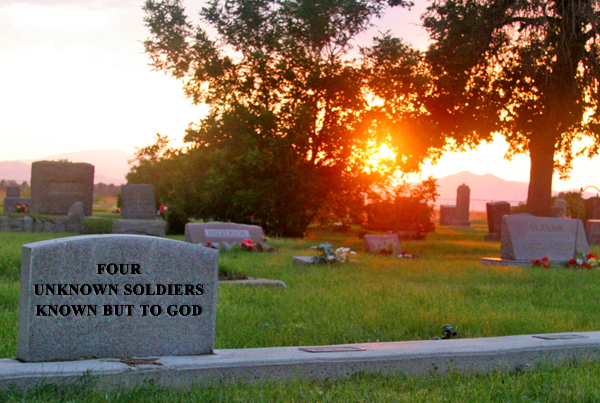 Kit and Vi Johnson of J4 Automotive, having served our country as a veteran family of Desert Storm, wish to pay tribute to our fellow military members and families of the East Helena community. Kit and Vi have been granted permission from the City of East Helena and Northwestern Energy to attach yellow ribbons to the power poles that align Main Street in East Helena. These yellow ribbons pay tribute to the Men and Women of the East Helena community who so bravely serve our country and defend our freedom. To qualify, the soldier must either be on active duty or a National Guard or Reservist who has been deployed for active duty. The ribbon will be removed in three years or when it has deteriorated due to weather or damage. If you have more questions or want to nominate a soldier for this honor, please contact Kit or Vi at J4 Automotive, 227-8622. Twenty three years ago I bought a building on Main Street in downtown East Helena for a practical reason: it was the closest commercial building to my house that I could afford. I had in mind to change the nature of my business from retail to mail-order and do away with most of the products I produced before and concentrate on making sheepskin footwear, slippers to be exact. It turned out to be a great decision because of something that I didn’t expect initially. What I didn’t know then was that East Helena is a truly great place to have a business. I sure know it now, and it keeps getting reinforced. Downtown may only be a couple of blocks long but it has filled up with experienced businesses in for the long haul. Most buildings have been upgraded and there are still a few vacancies offering opportunities for people with the next good idea. 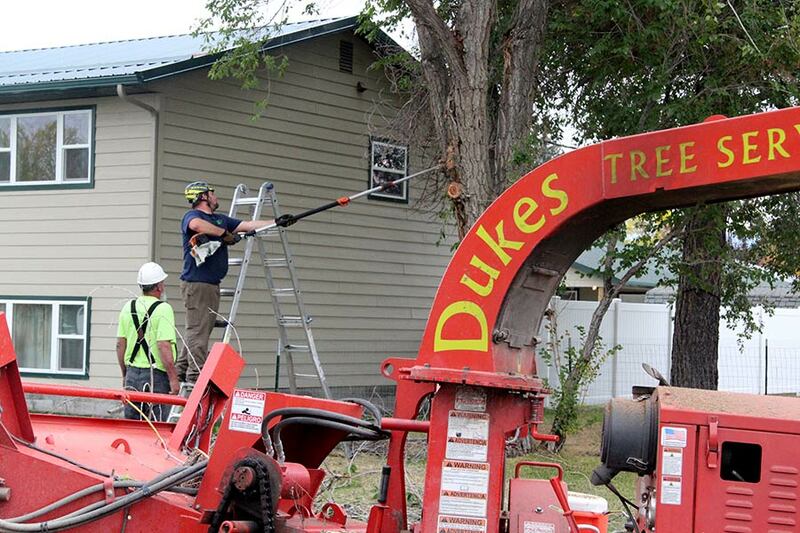 There are several reasons that East Helena works out so well for an independent business. The business space is reasonably priced and still an easy distance from the population of the whole Helena area. Access to banks, post office, and city services are a few things that are just down the street. 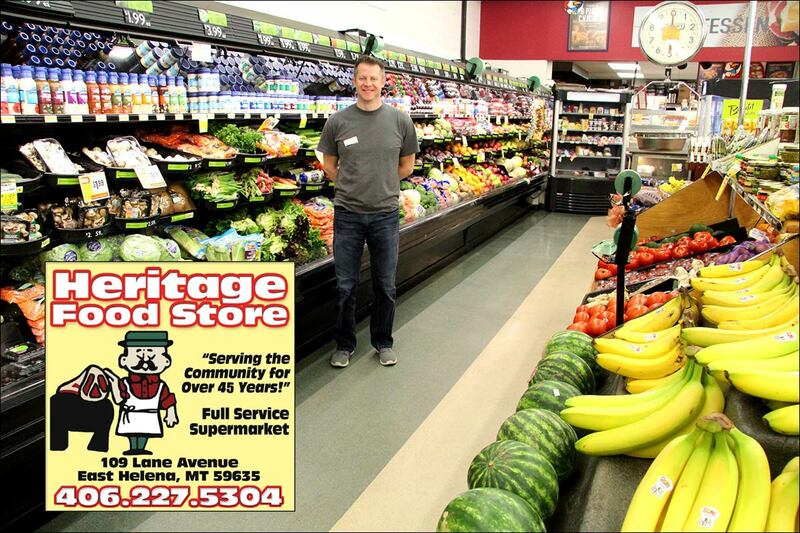 The primary element that makes for a good location is intangible but East Helena has it in abundance: great neighbors – both in the business community and residents of the town. I could start listing the great neighbors, but I don’t want to play favorites or omit anyone. However I will single out one East Helena institution for special mention. We are a mail-order business and we ship out over two thousand packages a year. The East Helena Post Office is a local partner that we could hardly do without. Don, Dorrie, Staci and now Terry really go out of their way to streamline the process and get our goods into the postal stream as effortlessly as possible. I owe those folks a big thank you. 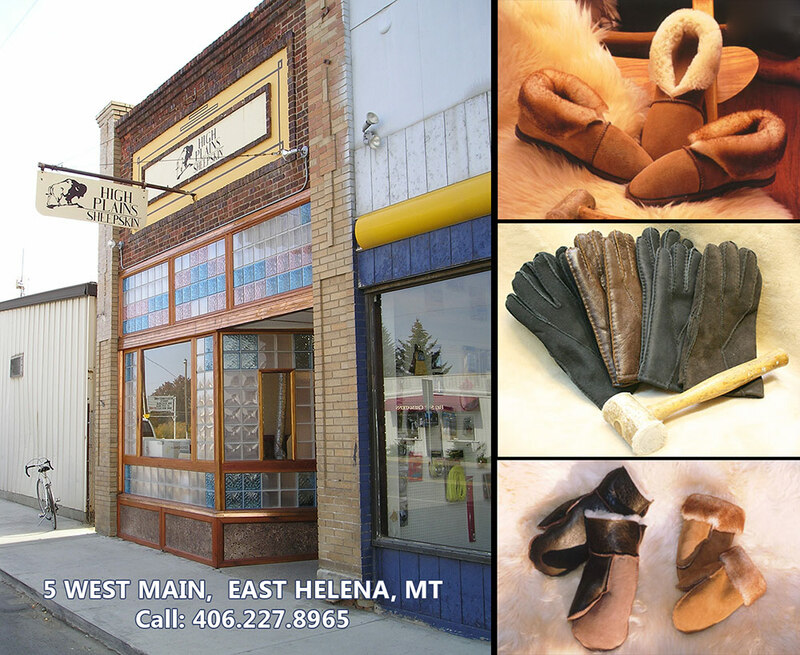 HIGH PLAINS SHEEPSKIN was started in the cold, windy basins of southern Wyoming (hence the “HIGH PLAINS”) in 1975. My first shop was in Laramie, Wyoming. After 9 years there, we moved to Last Chance Gulch in Helena, Montana. In 1993 we moved a few miles down the road to our current location at 5 West Main in East Helena. We are across the street from Dave and Annie’s Main Street Eats and Dr Aichlmayr’s Rocky Mountain Dental Clinic, we are next door to Stacks. This is our factory, warehouse, shipping center and retail outlet all rolled into one. Prior to starting High Plains, I had several years of experience in the tanning and industrial sheepskin business. In the tannery I worked as a sheepskin finisher and grader. As an apprentice under an old school Czech craftsman, I made sheepskin paint rollers, industrial applicators and saddle pads. This has always been a small business. Right now I work with Zach who hired on a few years ago; he is getting the hang of this work real fast. The two of us work all year to make the thousands of slippers, hats and mittens that we ship to all 50 states, Canada and overseas. Click here to self-post a Comment, Event or Announcement! Prickly Pear Junction has always been free to our readers. If you read this newspaper and think it is worth supporting, please consider showing your gratitude by gifting us. It is easy and safe via PayPal with these buttons.